Sneakers are fun and are also a type of investment that often comes at a high price. Designer converse come at various brands like Nike, Testoni, Adidas, and Air Jordan, and these also come in limited editions. You surely want to protect these expensive shoes in an effective method that would prevent them from decaying. A useful method for the protection of sneakers is to ‘shrink wrapping’ them. It is a method that safeguards them from any contact to oxygen and wraps them in a way that could extend their life. Sneaker shrink extends the life of the sneakers and keeps them from ruin, even if packed for a long time. The installation of shrink wrappers on boots is easy and could be done at home and require no special skills. Sneakers can be easily worn out. Gravity, aridity, and humidity can ( and will) take away their charm and newness, making their sole yellow and shape deformed. The lines and creases can turn permanent, so they need some sort of support and coverage to keep uptight and new. The shrink wrapping does not require much effort and needs only two things to be sealed: the plastic wrap and heat. With just wrapping your shoes with heat will make them waterproof, weatherproof and tamperproof. You can wrap shoes of any size, and the wrapper can be recycled as well! It is cheap and does not cause any damage or leave marks on the boots. Sneaker shrink gives less exposure to oxygen which keeps the material from yellowing and discoloration. Yellowing often happens to shoes with icy soles; they are prone to yellowing even if durable. Plastic packaging and heat shrinking secures them from the environment and serves as an excellent anti-oxidant. The heat applied to saran wrap allows it to become a very tight seal which adequately protects the shoe. It protects from dust, moisture or dirt and even UV rays. The plastic that saran wrap is made from is very durable, unlike other plastics. It is difficult to puncture or tear because of being very tight. Over time, heat wrap does not weaken or brittle when exposed to various environments. Once heated and sealed, it will not loosen. Heat wrapping plastic or saran wrap is very cheap compared to other packaging materials. It minimizes space and so is used less too. It does not require additional packaging materials to store with it either. The easy part about heat wrapping is that it can be used for any size. It neither requires much skill nor many people. Once applied, shrink wrap holds the converse in place and does not allow any air to pass through it. But even if the wrapping gets slightly dented or tampered, it can be noticed immediately. Some types of shoe cover plastic also change color if affected and that way you can quickly determine whether the wrapping is tightly sealed or not. The plastic will also show if it has been stretched or opened, you can detect easily if someone else has been touching or using them. How can I DIY shrink my Nike/Adidas/air Jordan shoes? Sneaker shrinking is an easy task and requires little effort. It can be handled by a single person and takes almost two to three minutes for a tight, sealed look. Shrink wrappers can be commonly available in the market or even online. They usually come in a standard ‘one size for all’ bag or a sheet film/ saran wrap. Before sealing the shoes completely, put silica gel packs inside the shoes to store them in their original state and save them from crumbling. You can start by covering the sheet wrapper around the shoe or putting it in the plastic bag. Close open end(s) temporarily with easy peel off the tape and make sure the corner/ pointed side of the bag is at the tip of the shoe. Use a good quality heat gun or hair dryer with good heat flow; turn it on to the maximum heat level and heat dry all over the sheet wrapped shoe. The sheet wrap will quickly stick to the shoe. Blow-dry until all parts of the sheet are held to the shoe and make it an airtight packing. While heat drying, do not rest the heated air flow too long on the converse otherwise it would affect the boot as well. Store in a cool, dry place with zero sunlight. How do you store/preserve sneakers? You have a collection of sneakers, and you are looking for various ways to protect them. It takes a few responsibilities to care for expensive sneakers, and their storage is most important. Throwing them on the floor when you enter your home is the worst habit for these shoes which will ruin them in no time. That is why a handful of ways are present to preserve or store boots properly for their care. The first thing that you could do is save the original shoe boxes that the sneakers come in. The box is your sneaker’s home, and it needs to be kept in a comfortable, safe place. It is easier to distinguish the many pairs of shoes in their boxes and that way they stay organized. It is okay to write on the shoe boxes to save yourself from confusion. Note that displaying sneakers openly on racks might look pretty this method isn’t healthy for the shoes’ life as it may lead to discoloration and yellowing. Heat and moisture aren’t also on good terms with them. If you do not adequately protect your sneakers from them, they will ultimately start to decay and turn to dust after time. Sheet wrapping helps in this part. Its sole purpose is to keep away from oxygen and dirt and let the shoe stay in its form. Wrap the shoe in plastic sheet wrapping for a sealed and airtight packaging; some greater quality sheet wrappers have a UV protective material that protects the shoe from harsh sunlight rays. 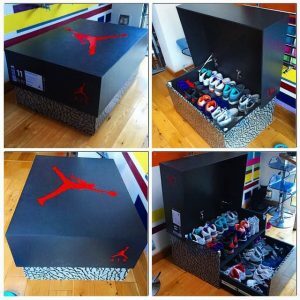 Customized wooden sneaker boxes are being introduced in the market that is large enough to store 16 pairs of sneakers in it. The box has an extra sliding compartment in it with the top chamber above. The wooden boxes are stylish and safe for the converse. It is best first to wrap the shoes in sheet wrappers and then to store them in the box. That is how you can fully guarantee the shoes’ safety. Do you have an extensive collection of converse? Then you need to take them seriously and perhaps find a storage facility. You can rent out storage areas as small as 5′ x 5′. Storage facilities are climate controlled and will prevent any sunlight from reaching the shoes. Shoes can be easily kept in walk-in closets, but it is essential to keep a dehumidifier. The dehumidifier will preserve your sneakers by sucking out the moisture and dampness. The dampness plays a big hand in yellowing and air bubbles etc. It is preferred to keep converse in dark places with cold temperature. Does it affect the shoes in any way when it’s wrapped like that for an extended period of time? Converse are usually made of rubber or a synthetic substitutes with a flexible sole. 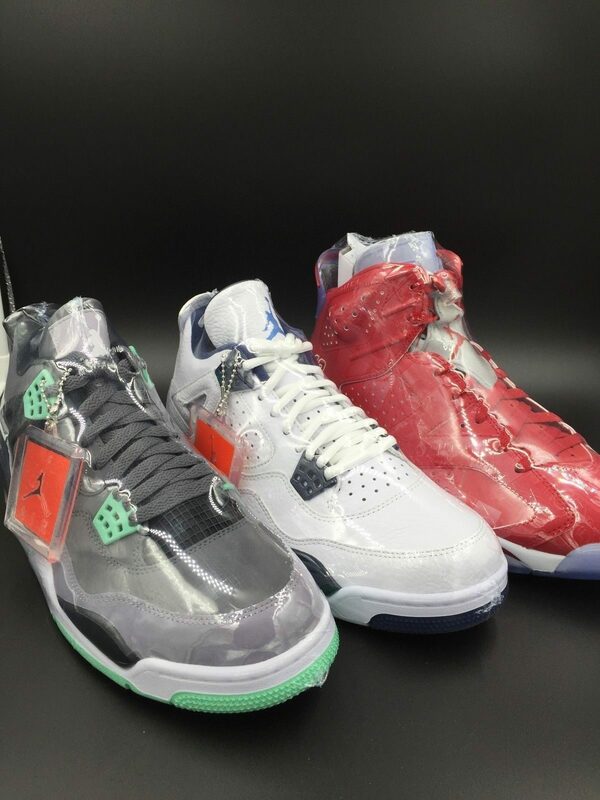 If you are planning to store your sneakers in shrink wrapping plastic for a long time, then they should be opened up once in a while to breathe. Keep the shoes away from sunlight at any cost and store them in the dark, cold places; pretty much like the basement, or even your closet could work. 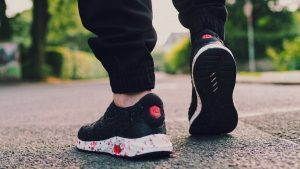 If you are planning on keeping your shoes packed up for a long time then do store them with silica gel packs inside the shoe; otherwise, they will dry up and crumble. If storing in boxes, do not stack the boxes too high because we all know that the temperature rises upward. Take your boots out of the sheet wrap every once a month to let them breathe. Let them sit for a day or two and then put them back in sealed wrapping again and store in cold storage. Avoid packing the converse with the paper that comes in the box because it is slightly acidic and will turn the sneakers yellow if stored for a long time with it. Silica gel packs are more useful for protection, and they must be kept inside the shoe before you seal wrap them. Can I shrink wrap any shoe? Only converse should be heat wrapped. Avoid seal wrapping shoes that have leather material because will harden if not let out to breathe. Shoes that are made of rubber or synthetic materials (like sneakers) shoes be tightly seal wrapped in sheet wrappers. They are more useful for protection and can be stored for a long time. How to get grease and oil stains out of clothes after drying ? How to repair a crumbling concrete wall?